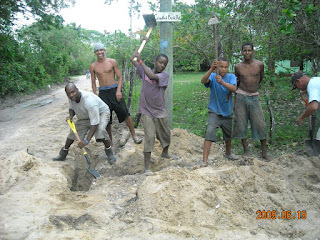 The 900 residents of 245 households of Crooked Tree Village will soon have access to a new running water system thanks to a BZ$1.45 million project launched on October 8, 2008. 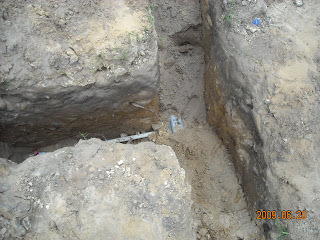 Officials from The Social Investment Fund under the Ministry of Economic Development with the participation of workers from within the community have begun trenching for the pipe installation. This is an historic and much needed project for one of the oldest and continuously inhabited villages in Belize. 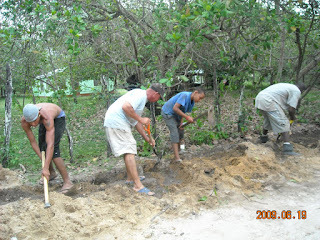 Crooked Tree Village has experienced many hardships and water shortages throughout the dry seasons. They have had to rely on constant cleaning and clearing of wells and sometimes even nearby creeks for water supply. In a couple of months they will no longer need to depend on that little white plastic bucket and a dipper to take a bath. Every effort is being made to finish the project in time for Christmas. 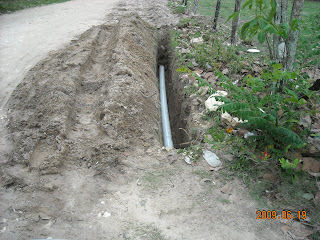 I must say I am very happy with this running water system that's coming to Crooked Tree Village. I would like to say thanks to Linda Crawford to keep us update of what's going on in our village. Congrats to Crooked Treeans. 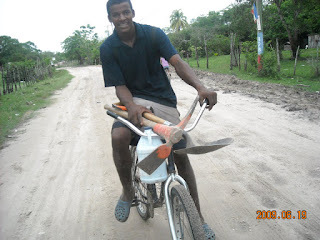 They have been receiving a lot of development in their village over the last year. 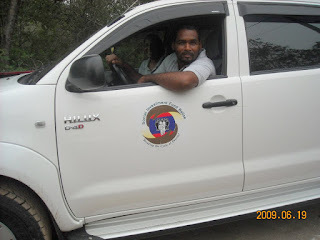 It is good to see the community, gov´t and NGO´s working hand in hand. But I must emphasize your hard work and extraordinary input you have been putting into your beloved Village- CROOKED TREE. YOU MUST BE GREATLY COMMENDED.